ELMO’s integrated Rostering / Time & Attendance solution can help manage your workforce scheduling to ensure employees are in the right place at the right time. With accurate time & attendance tracking and scheduling, you control costs and forecast future staffing needs more effectively. With ELMO, your employees are empowered to be in control of their own time and availability with shift trading and other self-management tools. 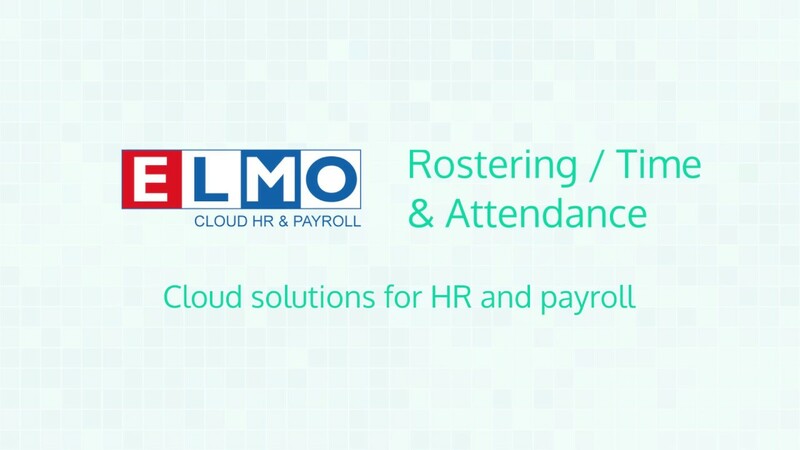 ELMO’s rostering / time & attendance software fully integrates with the entire ELMO Cloud HR & Payroll suite. Save time with accurate labour forecasts. Proactively manage staff with shift trading, leave and unavailability requests for real-time roster management. Automatic and stress-free time tracking solution with real-time reporting. Gather data to help control staffing costs and ensure your people are paid correctly. Using ELMO’s powerful Business Rules Engine and Award Library, ensure compliance obligations relating to Modern Awards or Enterprise Bargaining Agreements are met. Our intuitive and easy-to-use rostering calendar provides managers with a clear view to effectively schedule weekly, fortnightly or monthly staff rosters, account for staff availability, leave requests, or special events / campaigns to ensure optimal staff coverage. Empower your employees to track their own time & attendance on any device, providing accurate, real-time reporting, as well as the ability to more effectively control costs, and enforce your pay & business rules through automation. Reduces your organisation’s compliance risk and take the pain out of Award interpretation by automating your payroll and roster out calculation to ensure staff are paid correctly, according to the shifts they worked and their eligible entitlements. Find out more details about ELMO Rostering / Time & Attendance.